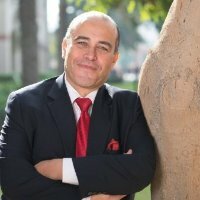 Dr Saidi carries a wealth of academia, operational and consulting experience in international strategy and telecommunications, having advised executives across the world on strategy, quality and business improvements. Prior to joining RIT, Dr Saidi headed the Master’s of Science of Quality and Business Excellence in Abu Dhabi School of Management and University of Wollongong in Dubai. He also held a number of Senior Executive positions in the telecommunications sector across the Middle East and Africa and was a Partner with the global management and strategy consultants, KPMG and Arthur D. Little. He was also involved in the development and rollout of value added services for a Major North American Railroad. Dr Saidi has previously been associated with Universities in Canada (Bishop’s University, Ecole Polytechnique), Tunisia (SUPCOM) and UAE (UOWD, ADSM, AUS and AGU) His areas of expertise include : Industrial Engineering, strategy articulation and implementation; customer experience; operational efficiency; cost optimization; supply chain strategy and operation; General board and executive advice; excellence programs and quality management.